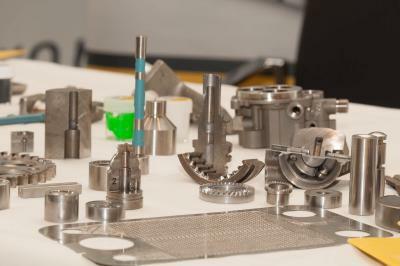 In recent years, the cleanliness of components has become a quality criterion which has great influence on value creation. Scrap, manual rework and product failures as the possible consequences of inappropriate parts cleaning have a negative effect on operating results and dull the competitive edge. Cleanliness problems are often caused by a lack of knowledge of the interrelationships which prevail in the cleaning step of the manufacturing process. parts2clean, leading trade fair for industrial parts cleaning, will offer a complete overview of processes, media and measures for economic component cleanliness in accordance with actual requirements in Stuttgart from the 9th through the 11th of October, 2007. Quality awareness in the area of parts cleaning is frequently not as well developed as is the case for other manufacturing steps such as CNC machining, forming, casting and coating. However, components cleaning which is well matched to actual requirements makes a significant contribution to increased product quality and economy, and a well honed competitive edge. But this goal can only be achieved by means of comprehensive knowledge regarding the performance capabilities of the various cleaning technologies and how to use them. As Europe’s only trade fair for industrial parts cleaning, parts2clean offers this know-how in a concentrated fashion at a single location. Renowned foreign and domestic suppliers will present comprehensive product and service offerings covering the entire process sequence for industrial parts cleaning at the new exhibition centre directly adjacent to Stuttgart International Airport from the 9th through the 11th of October, 2007. “Numerous exhibitors have booked significantly more booth floor space, and parts2clean 2007 will also be characterised by new faces from all of the relevant sectors. Even more extensive offerings for the efficient execution of specific cleaning tasks in practically all industries will await the visitors this year”, reports Hartmut Herdin, managing director of event promoters fairXperts GmbH. Beyond this, cleaning job-shops will be represented in considerably greater numbers at the 5th edition of the leading parts cleaning trade fair as well. parts2clean offers systems and equipment for individual parts cleaning and functional surface cleaning, as well as for batch processes, for cleaning workpieces made of various materials, for example in the automotive, electronics, semiconductor and food processing industries, and in the fields of machinery and equipment manufacturing, medical engineering, aviation and aerospace, hydraulics and pneumatics, and precision engineering. Essential criteria for the selection of the ideal cleaning process include the spectrum of parts, degree of contamination, the material or the materials combination, component geometry, cleanliness requirements with regard to contamination in the form of film and particulates, and production throughput. A suitable cleaning process (spray, immersion or ultrasonic cleaning, or a combination with special processes), as well as process parameters such as treatment duration and the number of process steps, are chosen on the basis of these factors. For example, workpieces with complex shapes and demanding cleanliness requirements are usually cleaned separately, because individual cleaning allows for effective, targeted treatment of channels, drill-holes and undercuts. Furthermore, damage resulting from unnecessary handling of the parts to be cleaned can be avoided, and logistics advantages can be realised, for example if downstream processes necessitate that the parts are oriented in a specific direction. Selective cleaning of functional surfaces and specific component areas by means of CO2 snow-jet, laser and plasma cleaning, for example joining, bonding, sealing and laser welding surfaces, saves time and reduces costs. After all, it’s usually quite expensive to clean the entire part in accordance with the requirements specified for the functional surface with an aqueous or solvent cleaning process. Mass produced parts with high production output rates can be quickly and economically cleaned with the help of batch processes. Cleaning racks within which workpieces are readily accessible from all sides provide for results, time and cost optimised parts cleaning with batch processes. And the 5th parts2clean will present comprehensive offerings in this area too – as well as in the area of cleaning agents. The suppliers are assuring improved economy, environmental compatibility and shorter process times by means of ongoing development and innovations. Media treatment also has a great influence on the efficiency of the cleaning process – especially in the case of aqueous cleaning – because the cleaning fluid must be kept available for the longest possible period of time with a high degree of purity. This can be achieved with the help of ideally matched filtration and separation systems (e.g. oil separators, particulate filters, membrane filters and water treatment), which will be presented by the exhibitors at parts2clean. The inspection of component surfaces for cleanliness has evolved into a significant factor for quality oriented manufacturing. 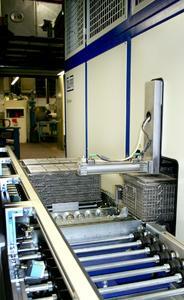 For example, VDA 19 for the inspection of technical cleanliness has been drafted for use in the automotive industry. Quality assurance and analysis systems for testing surface cleanliness at workpieces – not only for the automotive industry – as well as monitoring cleaning baths represent a further important exhibition topic at this year’s parts2clean. Information offered by the exhibitors will be augmented by an attractive supplementary programme which offers lots of know-how covering all aspects of industrial parts cleaning. The programme includes the time tested expert forum and a special show dealing with the industrial parts cleaning process sequence, by means of which the exhibitors and the promoter intend to provide food for thought with regard to the optimisation of the cleaning process. Further information is available at www.parts2clean.de, and from fairXperts GmbH, Hauptstraße 7, D-72639 Neuffen, Germany, phone: +49 (0)7025 8434-0, fax: +49 (0)7025 8434-20. Thank you for sending us a specimen copy. www.parts2clean.de under the “Press” heading.